We’re currently in the process of upgrading these speeds at some sites. Please come back to this page soon for further updates. Please note that there may be some variation in the product availability at any given location. For more information on where Media Force services are available, please check the locations page. In order to sign up for one of these packages, you must be at a Media Force site. You can then sign up by connecting to the service by ethernet or Wi-Fi, before opening your browser and selecting the Create Account button. The price you see is the price you pay. We don’t make you pay for an expensive phone line you don’t need. Use it how you want. We don’t have data caps hidden in the small print or throttle you at peak times. You want Internet? You got Internet. We don’t make you pay for a phone line or TV services to have the advertised price. Pay only for the service that you need. We won’t tie you in to a contract and you can cancel at any time. No need to commit to a rolling contract – you simply pay up front for the time you need. Our UK-based support team are always available to help you out. 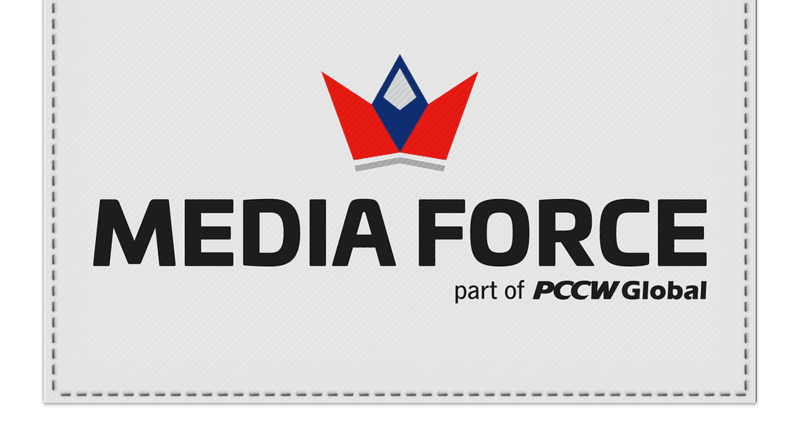 If you have a Media Force account, it’ll work wherever our service is. All you have to do is sign in and your account comes with you. Unlike other Wi-Fi providers, we can provide you with your own personal Wi-Fi. Did you know that if you have a cabled Ethernet port in your room, by adding a MediaHub, you will get a private Wi-Fi service that will give you an internet experience like that of high speed home broadband? You will be able to enjoy ultrafast broadband, connecting multiple devices to Media Force via Wi-Fi and Ethernet cable. The MediaHub 3 supports Wi-Fi 802.11 a/n/ac (5GHz) and 802.11 b/g/n (2.4GHz) standards, and gives you a private secure Wi-Fi network which is much more reliable and faster than using the shared public Wi-Fi infrastructure available on your site. The MediaHub 3 is available at all Media Force-enabled sites where there are cabled Ethernet ports. 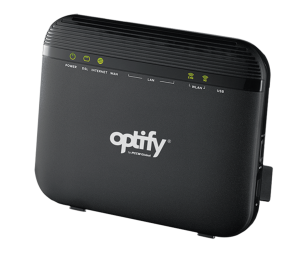 The Optify MediaHub 3 is a Zyxel VMG3625-T20A Dual-Band Wireless AC/N Combo WAN Gigabit Gateway. It is an advanced gateway that provides high-speed Internet access. In addition it increases speed and coverage to compete with other broadband technologies without infrastructural change. The MediaHub 3 integrates an IEEE 802.11 a/b/g/n/ac access point and a Gigabit Ethernet switch for LAN access. 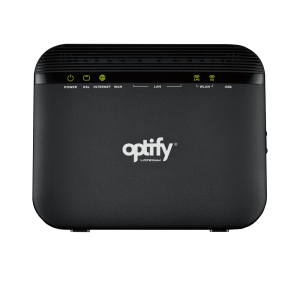 With extreme routing performance, it acts as a concentrator or a power hub to distribute all contents among different devices inside the LAN with both wireless and wired connectivity. The Wi-Fi functionality has also been enhanced to ensure high-quality user experience. Additionally, users can also leverage the USB interface on the MediaHub 3 for file sharing or pair it with a 3G USB dongle for mobile connectivity.